PT Citilink Indonesia - Citilink is a leading and reputable low-cost carrier (LCC) airline company in Indonesia. PT Citilink Indonesia is a strategic subsidiary company of PT Garuda Indonesia (Persero) Tbk (Garuda Indonesia Group), the largest airline companies in Indonesia which is majority owned by the Government of Indonesia. Currently, Garuda Indonesia Group holds 94.3% shares in Citilink. Other 5.7% shares in Citilink was owned by PT Aero Wisata. PT Citilink Indonesia is recognized as a prominent player in the LCC industry as its controls 16% market shares of Indonesian LCC segment. PT Citilink Indonesia was established in 2009 as a result of spin-off from the strategic business unit (SBU) of Garuda Indonesia Group. In 2012, PT Citilink Indonesia has officially established as an independent airline company after gained the airline business of SIUAU/NB-027 (dated 27 January 2012) and the airline certificate of AOC 121-046 (dated 22 June 2012) with IATA flight code "QG", ICAO "CTV" and call sign "Supergreen". 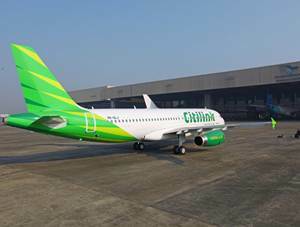 Headquartered in Jakarta, Citilink Indonesia has 54 schedulled flight routes and 27 cities. As of December 2015, Citilink Indonesia runs its business through 44 aircraft units which include 5 units of B737-300, 3 units of B737-500, and 36 units of A320-200. In term of financial performance, Citilink Indonesia posted positive financial performance in 2015. According to PT Garuda Indonesia (Persero) Tbk Annual Report 2015 as cited by JobsCDC.com, Citilink Indonesia registered total revenue of US$470.03 million in 2015. This total revenue figures reflected an 16.48% increase from US$403.54 million in 2014. Minimum Bachelor (S1) holder major in Chinese Studies, Chinese Language, Chinese Literature. Minimum Bachelor (S1) holder in Computer Technology or in a related field. Holds around 1-2 years of experience in a software development environment. Possess extensive experience with Transact-SQL. Experience working with MS SQL Server, NoSQL DBA, and MySQL. Sound knowledge of traditional as well as agile software development methodologies. Have a good knowledge of Scrum methodology of agile software development and its application. Able to apply an object-oriented programming language in creating applications. Able to carry out research and innovation. Good knowledge of systems and software development lifecycles; application integration techniques; and relational database design. Outstanding spatially enabled enterprise applications creation and maintenance skill. Experience in creating rich user interface web designs. Excellent skill in communicating orally and in writing with people. Proficient working on various projects together at the same time and achieving resounding success. Indonesian Citizen (WNI), Male or Female with the maximum age of 27 years old. Minimum Bachelor (S1) holder in Accounting Information System with minimum GPA of 3.00 within 4.00 scales. Female, Indonesian citizen (WNI) with the maximum age of 25 years old. Minimum Bachelor (S1) holder in Accounting, Management from a leading university. Minimum 1 year of experience in marketing sales. Male, Indonesian citizen (WNI) with the maximum age of 35 years old. Preferably holds license FOO Rated A320. Willing to be placed/assigned to branch office according to company’s needs. Male or Female, Indonesian citizen (WNI) with the maximum age of 30 years old. Minimum Bachelor (S1) holder in Information Technology. Experience in UI & UX,SEO,Web Service (REST/SOAP). Previous experience in ecommerce is a plus. Male or Female, Indonesian citizen (WNI) with the maximum age of 25 years old. Minimum Bachelor (S1) holder in Aeronatics, Mechanical Engineering from reputable University with minimum GPA of 3.00. Active involvement in campus organizations and event/social committees. Male or Female, Indonesian citizen (WNI) with the maximum age of 35 years old. 4 years as flight crew for Flight Operation (FLT) expertise. 4 years working experience in aircraft maintenance area as engineer or auditor or inspector or planner for Maintenance & Engineering (MNT) expertise. 4 years as flight operations officer or operations control for Flight Dispatch (DSP) expertise. 4 years as cabin crew for Cabin Operation (CAB) expertise. 4 years as on security related tasks for Security Operation (SEC) expertise. 6 years as ground handling officer (passenger, baggage, ramp and cargo handling) for Ground Handling Operation (GRH) dan Cargo Operation (CGO) expertise. 4 years working experience in managing safety for Safety Management System (SMS) expertise. Minimum Bachelor (S1) holder in Engineering. Minimum 2 years of experience in airworthiness standard, personal licensing and training program. Strong knowledge in CASR, aviation regulation. Minimum Diploma holder in Engineering. Minimum 5 years of experience in aircraft maintenance. Strong knowledge of CASR and aviation regulation. Male or Female, Indonesian citizen (WNI) with the maximum age of 27 years old. Minimum Bachelor (S1) holder in Accounting, Management, Business Administration from a leading university. Male/Female, Indonesian Citizen (WNI with the maximum age of 40 years old. Minimum 3 years of experience as Cabin Crew and 1 year as instructur safety. Have attended training in auditor is preferred. Minimum Bachelor (S1) holder in Law/Legal from a leading university. Minimum 3 years of experience in the field legal. Strong knowledge about regulation in Indonesia. Male or Female, Indonesian Citizen (WNI) with the maximum age of 40 years old. Minimum Bachelor (S1) holder in Accounting and tax. Minimum 5 years of experience in Finance-Accounting and accounting system. Female, Indonesian citizen (WNI) with the maximum age of 30 years old. Minimum Bachelor (S1) holder in Management, Communication and Business Administration from reputable University. Minimum Bachelor (S1) holder in Business Administration, Marketing Management. Minimum 3 years of experience in loyalty program, preferably in airline/banking/hospitality industry. Have an passion about marketing and counsumer behaviour. Minimum 1 year of experience in corporate marketing sales. Male or Female with the maximum of 35 years old. Minimum Bachelor (S1) holder in Business, Management, Accounting from reputable university with minimum GPA of 3.00. Minimum 3 years of experience in procurement process. Male with the maximum of 30 years old. Have an passion about partnership and marketing. JobsCDC.com now available on android device. Download now on Google Play here. Please be aware of recruitment fraud. The entire stage of this selection process is free of charge. PT Citilink Indonesia - D3, S1 Fresh Graduate, Experienced Staff, Officer, Mgr Garuda Group November 2016 will never ask for fees or upfront payments for any purposes during the recruitment process such as transportation and accommodation.